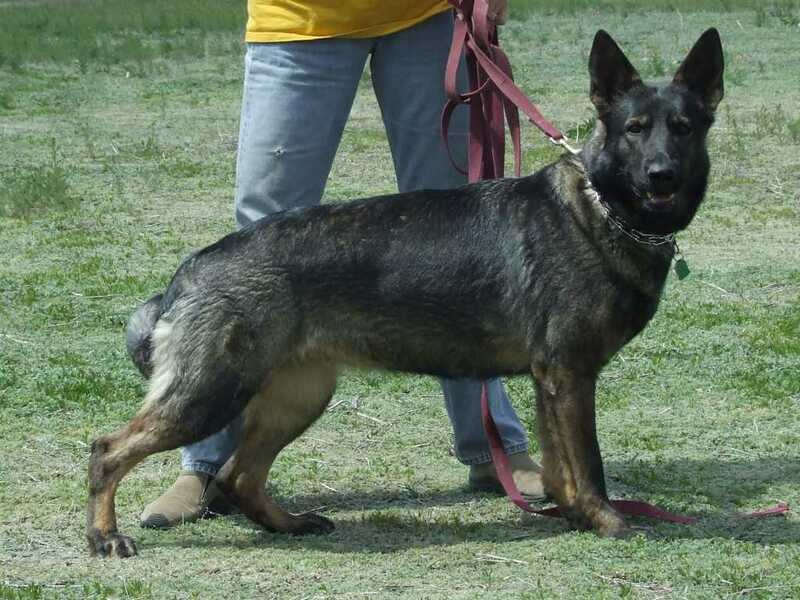 "Gray" is a two year old sable male, neutered, crate trained and housebroken. Modest prey drive, basic obedience, and a very willing behavior. 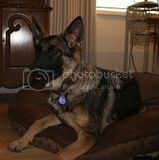 As a pup, he grew up in a household with two aggressive older dogs that were allowed to bully him, and so never knowing anything else, developed a mistrust for any dogs that approached him, no matter the innocence. Though never afraid to confront any perceived aggression, his perception was always suspicious and prepared to fight. He's since been socialized for about two months, and gets along fine with all other dogs of my household. Safe with children, cats, and puppies. 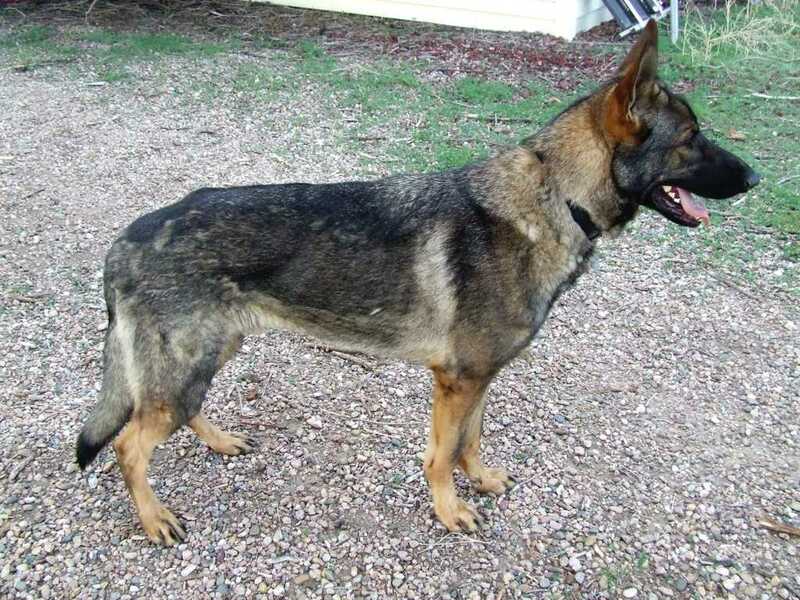 He would be fine for a home without other dogs, but needs a capable handler otherwise. Wonder if his breeder knows?? He's quite a handsome dog, though could use some groceries (look @ the points of the hips and muscle loss in the rear leg) He's going to fill out and be beautiful! He was from one of my breedings, and I was quite appalled at his appearance when I first saw him. On bad advice from their vet to quell the fighting, he was neutered at too young an age, and it affected his growth. Originally Posted By: DarylEhretHe was from one of my breedings, and I was quite appalled at his appearance when I first saw him. Kudos to you for being a responsible breeder and taking him back at the age of 2 to find him a good forever home! He is a handsome dog ~ gotta love those dark sables! Time spent with your dog is never wasted! A HUGE congratulations goes to Gray on attaining a new family today. His temperament and their lifestyle were a perfect match, and he is tremendously happy now. That's wonderful! Have a happy life with your new forever family ~ Gray!